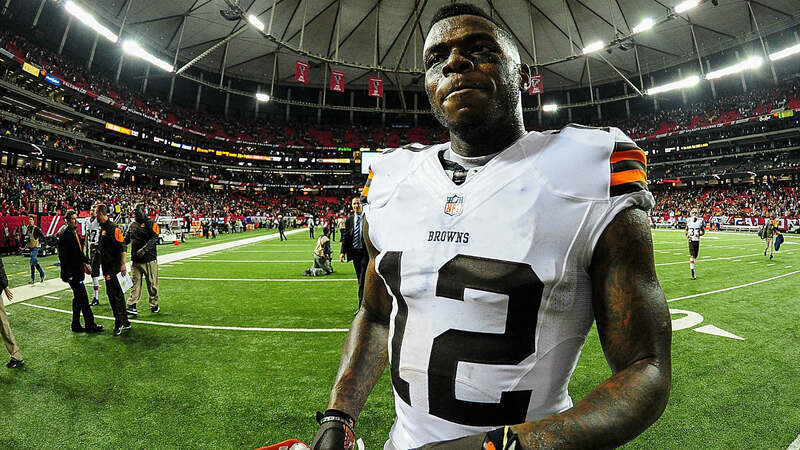 Josh Gordon has had many opportunities to play wide receiver for the Cleveland Browns. He’s running close to empty on his chances after they decided to part ways with him on Saturday night. Gordon is seeing his roller-coaster time with the Browns end after six on-and-off seasons. Here’s a look at all the events dating back almost eight years that led up to that point of no return to Cleveland. Oct. 7, 2010 — Gordon, then a sophomore at Baylor, is found asleep in the passenger’s seat of a car belonging to teammate Willie Jefferson, who also is found passed out, outside of a Taco Bell. Both Gordon and Jefferson were cited on misdemeanor drug posession charges after marijuana was found in the car. Jefferson was kicked off the team with his second such violation, while charges were later dropped vs. Gordon. July 25, 2011 — Gordon is suspended indefinitely from the program by Baylor coach Art Briles for a violation of team rules. It was reported later that Gordon had failed a drug test, as it showed up positive for marijuana. Aug. 25, 2011 — Gordon decides to transfer from Baylor to Utah. “We felt he deserved a second chance, and we gave him that,” Utes coach Kyle Whittingham said at the time. Before missing the deadline, Gordon had thought about entering the NFL’s supplemental draft that summer. He wouldn’t play a down for Utah. July 12, 2012 — Gordon gets into the NFL’s supplemental draft, the Browns use a second-round pick to select him. July 16, 2012 — Gordon is signed to his first NFL contract, a four-year, $5.3 million deal with the Browns. Sept. 5-Dec. 30, 2012 — Gordon plays in all 16 games for the Browns and starts 13 as an impressive rookie wideout. He posts 50 catches for 805 yards and 5 TDs. June 7, 2013 — Gordon draws his first NFL suspension for violating the league’s substance-abuse policy. He is forced to miss the Browns’ first two games of the season. Nov. 24-Dec. 1, 2013 — Gordon becomes the first NFL player to post consecutive 200-yard receiving games, ripping the Steelers for 237 and then racking up 261 more against the Jaguars. Dec. 27, 2013 — Gordon gets named to the Pro Bowl on the strength of leading the league with 1,646 receiving yards. He also earns first-team All-Pro for this breakout season. July 5, 2014 — Gordon is arrested for suspicion of driving while impaired in Raleigh, N.C. It was reported that Gordon was speeding and had a blood-alcochol content of .09, above the legal limit. Aug. 27, 2014 — Gordon draws his second NFL suspension for violating the league’s substance-abuse policy, this time for one full year. Sept. 19, 2014 — Gordon has his suspension reduced to 10 games under the NFL’s new policy. Nov. 17, 2014 — Gordon is reinstated by the NFL. That week, in his first game, he burns the Falcons for eight catches and 120 receiving yards. Dec. 27, 2014 — Gordon is suspended by the Browns for one game, their season finale against the Ravens, for a violation of team rules. Jan. 25, 2015 — Gordon faces a second year-long NFL suspension after testing positive for alcohol use. Feb. 3, 2015 — Gordon is suspended by the NFL for a year again without pay and isn’t eligible to return until the beginning of the 2016 season. Jan. 20, 2016 — Gordon applies for NFL reinstatement. April 12, 2016 — Gordon’s petition for reinstatement is denied because another failed drug test. July 25, 2016 — Gordon is reinstated by the NFL under the condition he can participate in training camp but remains suspended for the first four games of the regular season. Oct. 30, 2016 — Gordon is released from rehab after 30 days but remains on the NFL’s reserve/suspended by commissioner list. March 1, 2017 — Gordon applies for NFL reinstatement again. May 11, 2017 — Gordon’s latest petition for reinstatement is denied by the NFL. Nov. 1, 2017 — Gordon is reinstated to the NFL on a conditional basis with a chance to return to play for the Browns in Week 13. Nov. 30, 2017 — Gordon is officially activated off the Commissoner’s Exempt list and becomes eligible to play. Dec. 3, 2017 — Gordon is targeted 11 times in his return against the Chargers. He catches 4 passes for 85 yards in a 19-10 loss. Dec. 10, 2017 — Gordon scores his first TD in four seasons in the game against the Packers. He catches 3 passes for 69 yards in a 27-21 loss. Dec. 31, 2017 — Gordon catches 4 passes for 115 yards against the Steelers. It’s his first 100-yard receiving game since ’14 against the Falcons. March 13, 2018 — Gordon is signed to a one-year, $790,000 contract by the Browns. Aug. 18, 2018 — Gordon, after taking some personal time, reports to Browns training camp after missing three weeks. Aug. 24, 2018 — Gordoin is cleared to participate in team walkthroughs. Aug. 25, 2018 — Gordon is activated from the Browns’ reserve/non-football injury list. Aug. 27, 2018 — Gordon, dealing with a hamstring injury, is declared ready to play but not start by coach Hue Jackson, with Gordon expected to be on a “ptich count” of snaps for the Steelers in Week 1. Sept. 9, 2018 — Gordon ends playing 69 of 89 offensive snaps in Week 1 against the Steelers, turning his one catch into a 17-yard touchdown to help tie the game.at 21. Sept. 11, 2018 — Gordon is listed as a starter for Week 2 at the Saints. Sept. 15, 2018 — Gordon is ruled out for Week 2 at the Siants with a hamstring injury, despite not missing practice all week. Gordon reportedly injured himself in a non-team photo shoot and the NFL Network also reported the Browns also had trust issues related to him showing up late on Saturday. Sept. 15, 2018 — Gordon is in line to be traded or released by the Browns by Monday after Week 2, ESPN’s Adam Schefter reports. The Browns planned to move on him because they were concerned about a relapse, per multiple reports. Sept. 16, 2018 — Gordon is confirmed to be facing no further suspension discipline from the NFL, per a report from The Athletic’s Jay Glazer.